This book is written for Christians and seekers alike. Many of us have grown up being told that God is everywhere. I agree and believe that we can see God in everything that we do, hear, and say. 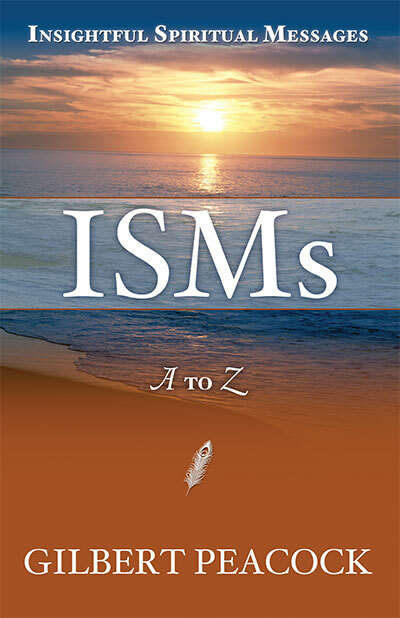 The purpose for ISMs is to help guide us as we look for deeper meaning and greater understanding. 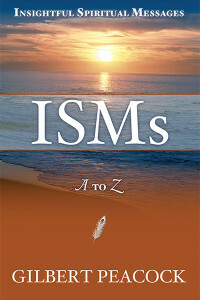 This book serves as a daily devotional with messages for meditation, scripture references and brief interviews. Gilbert Peacock is an accomplished career sales and marketing professional with a diverse background. He has leadership competence in the areas of sales management, business development, business management, product management, customer relationship building, strategy development and implementation. Specific strengths nurtured in a career spanning 30 years include communications, facilitation, presentations, negotiations, mentoring and team building. Peacock’s career travel has taken him to conduct business in 46 of the 50 United Sates, Canada, Europe, and China. 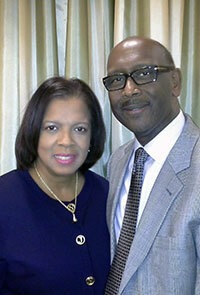 Gilbert is a Financial Advisor working with a diverse client base. He is advising business owners and many other trade and professional people. Gilbert has learned about the stock market as an individual investor since 1975. He conducts training sessions with groups an individuals to educate and develop financial plans, college funding, disability insurance, mortgage protection, retirement, legacy and estate planning. He has strategic alliances with legal counsel and certified public accountant to assist clients with wills, trusts and estate planning. He is currently conducting business in 15 states which he is licensed including Arizona, California, Connecticut, Florida, Georgia, Illinois, Maryland, New Jersey, New York, North Carolina, Ohio, Pennsylvania, South Carolina, Texas, and Virginia. He continues to build a repeat and referral client base. He has recruited a dynamic team of associate financial advisors.. Gilbert’s greatest satisfaction in the financial advising business is the guarantee that clients’ money in fixed annuity accounts is safe and protected from the downside market. Gilbert Peacock (704)905-9867, Email gilbertaz9@yahoo.com.